I really need to make quiche more often. 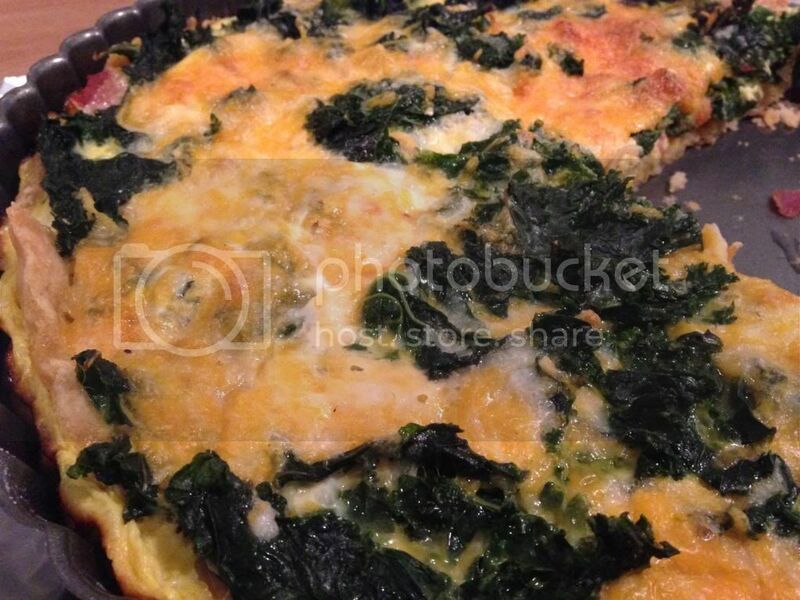 It's so yummy and can be loaded with good-for-you things such as dark leafy greens. 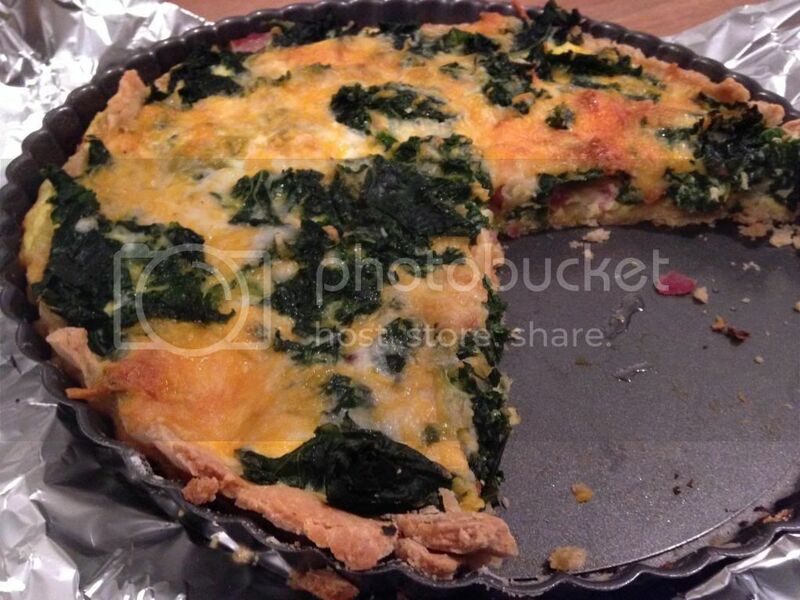 Since the produce box comes with a dozen eggs, I've been looking for interesting ways to use them up each week and naturally quiche came to mind. This recipe actually doesn't use as many eggs as other recipes which would make it lighter but for the buttery crust from Martha Stewart that I use. I started with this recipe from Tracey's Culinary Adventures, which I made for the first time in the fall, and then modified it with my own ingredients. In the bowl of a food processor, pulse flour and salt. Add the butter, and pulse until mixture resembles coarse crumbs. With the machine running, add the ice water in a slow, steady stream, just until the dough holds together without being wet or sticky. This should take less than 30 seconds. It should hold its shape and not be too crumbly. If the dough is crumbly, add more water 1 tablespoon at a time. Test by squeezing a small amount of the dough together; if it is still too crumbly, add a bit more water, 1 tablespoon at a time. Divide dough in half and flatten into a disk. Wrap in plastic and refrigerate at least 1 hour or overnight. The dough can be frozen for up to 1 month; thaw overnight in the refrigerator before using. Preheat oven to 350 degrees. Roll dough the desired thickness and place in well-greased tart pan. Cover completely with foil or parchment paper and fill center with pie beads or uncooked beans. Par-bake the crust for 20 minutes. Remove foil or parchment paper carefully as beads will be very hot. Cook bacon until crisp. Crumble and set aside. Saute shallots in a little olive oil until golden brown. In a medium bowl, mix together shallots, bacon, and kale. Spread in an even layer into prepared crust and sprinkle with majority of cheese. In a small bowl, whisk together eggs and milk until well-blended. Pour over kale bacon shallot mixture. Top with remaining cheese. Bake for 30-40 minutes until set.